Well Pets are Happy Pets – Junior and Senior Pet wellness. For Junior pets, bring in your dog or cat for a physical exam, urinalysis, and major organ blood work screening. We will have the results the same day, while you wait if you prefer, and the information will provide us with a baseline for future screenings as well as provide an early warning of abnormal changes in your pet’s health. 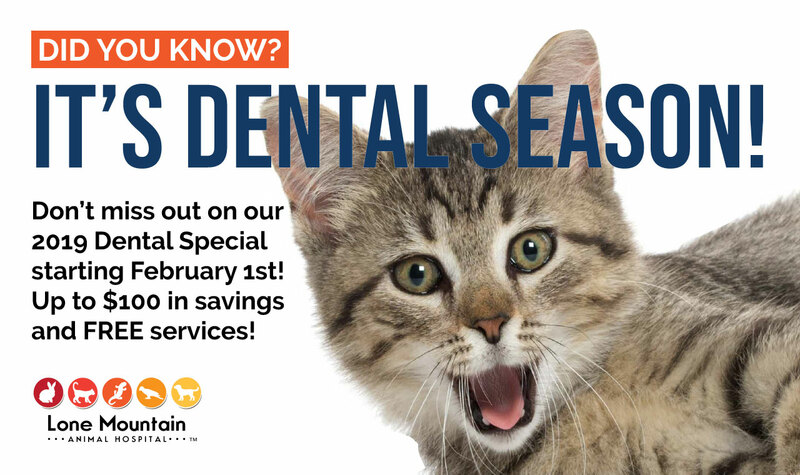 Bring in your well dog or cat, under the age of six years old, for a pet wellness exam and bloodwork for the special price of $86.00, a saving of $135.00! 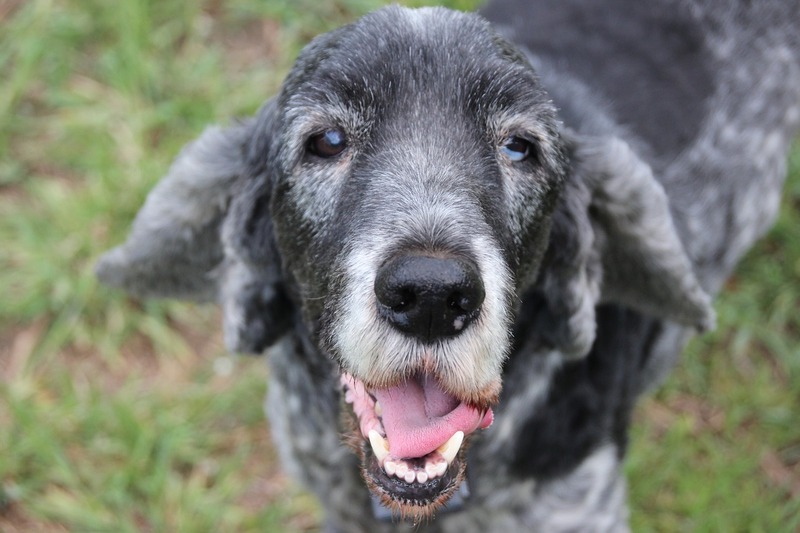 For senior pets, bring in your well dog or cat for a full physical exam, a complete blood count (CBC), as well as a complete chemistry panel, a thyroid level, and a urinalysis. By catching disease processes early, there are more treatment options, more successful outcomes, and more peace of mind. We will have results the same day or while you wait if you prefer. Remember, well pets are happy pets so take advantage of our wellness special and make an appointment for a pet wellness exam and bloodwork. Special pet wellness exam and bloodwork discount available through the end of October. 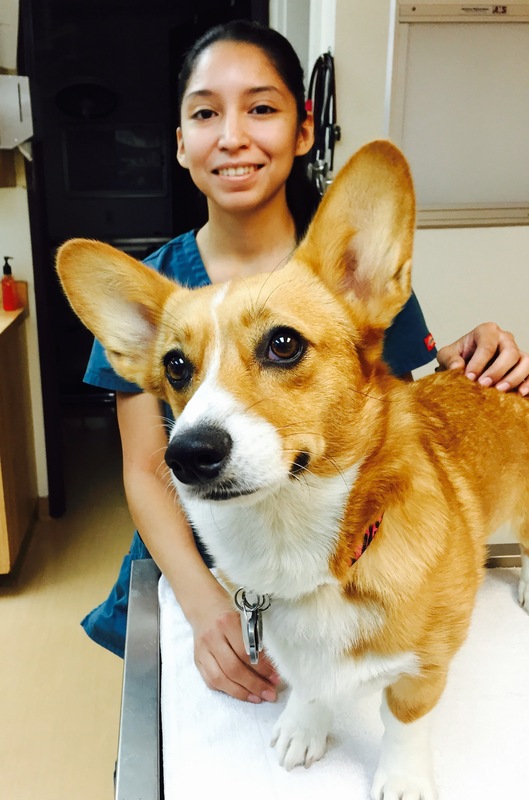 Discounted exam, cystocentesis, and bloodwork are available for well pets only. Sick pets will require different lab work and diagnostics. 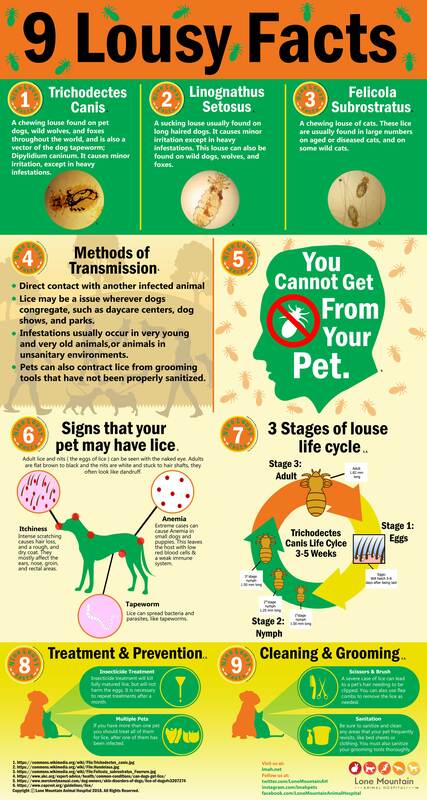 At Lone Mountain Animal Hospital, we have seen an unusually high number of dog lice cases in recent weeks. We thought some information about this parasite might be useful. 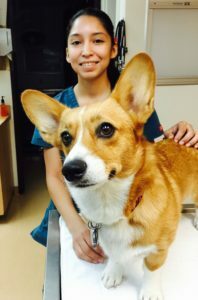 Veterinarian Talia Gattenuo of Lone Mountain Animal Hospital in North West Las Vegas explains the causes and symptoms of parvovirus. 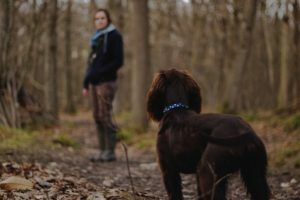 You always hear your veterinarian talking about different illnesses that are preventable, but do you know what these viruses can do to your pet? Parvovirus is one of the most common, sometimes fatal virus that falls into the 100% preventable category. Parvovirus is a life threatening and often-fatal illness. Once inside the body, the virus targets bone marrow, intestinal cells, fetal cells, and the cells of the lymph system. This virus is so resilient that it can survive freezing temperatures and is resistant to many household cleaners. and enters the body through the mouth. It spreads through contact with stool or saliva from an infected dog. Infected dogs release huge amounts of virus in their stool causing environmental contamination. The virus is durable in the environment because of its genetic makeup, it can be carried on surfaces like shoes, clothing or carpet, and spread rapidly. 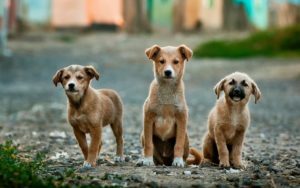 Parvo is considered universal, meaning that it is present in every environment that is not regularly disinfected and can be transferred by any person, animal, or object that encounters infected feces. Newborn puppies don’t make antibodies (proteins that fight infection) so they have no protection against the infection. The Parvo virus incubates in the body for 3-7 days before the puppy appears to be ill. Symptoms of parvovirus include extreme lethargy, vomiting, loss of appetite and diarrhea. The vomiting and diarrhea cause extreme dehydration and lead to death. This is not an illness that only affects puppies, adult dogs that are not vaccinated against parvo can contract the virus as well. Dogs have an 80% parvo survival rate if hospitalized with early diagnosis. That figure drops to 10% survival rate without veterinary care. Home treatment for parvo is not ideal in comparison to hospitalization as veterinarians have more emergency care tools at their disposal including IV fluids and injectable medications not to mention round the clock professional care for your pet. 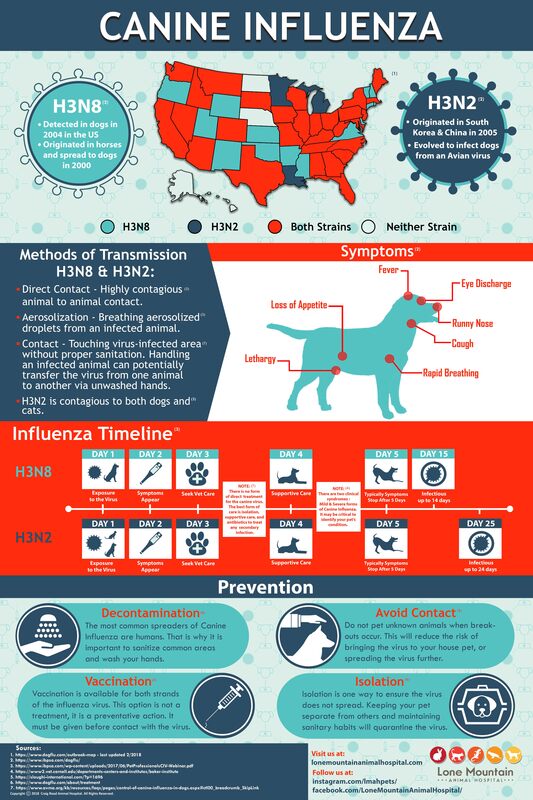 What can you do to protect your pet against the parvovirus, VACCINATE! Vaccination is a four-part series for a puppy given at six, eight, twelve and sixteen weeks. 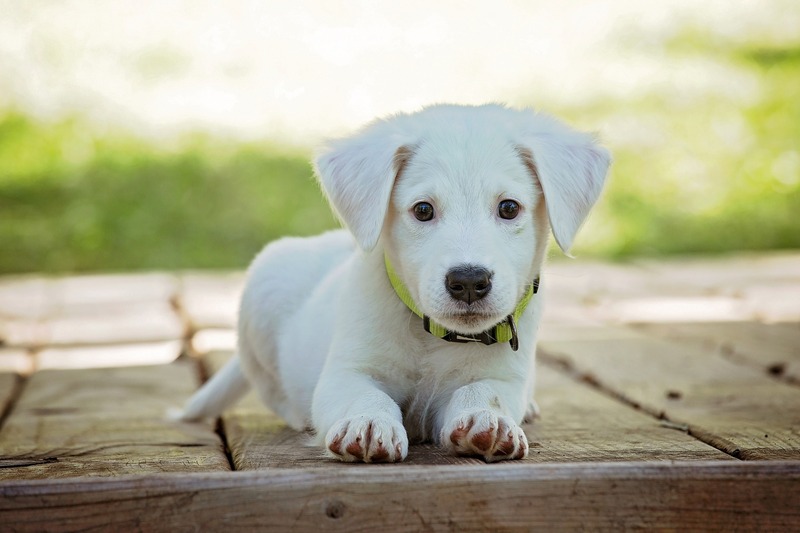 It is recommended that owners keep puppies indoors, off the floor at their veterinarian’s office and reduced socialization until their vaccination series is fully complete. 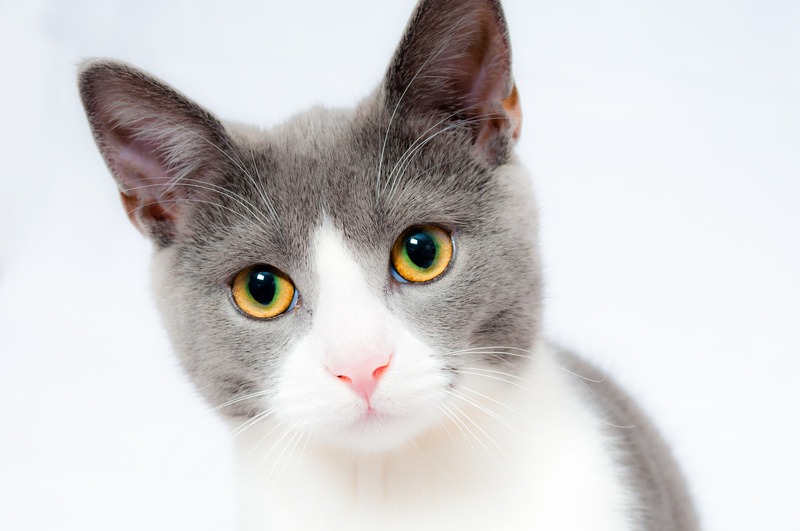 Realize that partial vaccination is not enough to ensure that your pet is protected. It is our hope that pet owners understand the importance of a fully completed vaccine series in relation to their pet’s continued overall wellness. Each month we will introduce you to a staff member allowing you to get to know the people who care for your pets. Amber, a true Las Vegas native, worked for LMAH in 2007, left our hospital to work on the people side of medicine. We lured her back in 2011 to the animal world and has been a steady rock in reception ever since. You might notice Amber always has a smile on her face whether she is talking to you in person or on the phone. Amber has a household that includes her husband, daughter, 2 dogs Pepita and Estrella, and a bird name Jupiter. 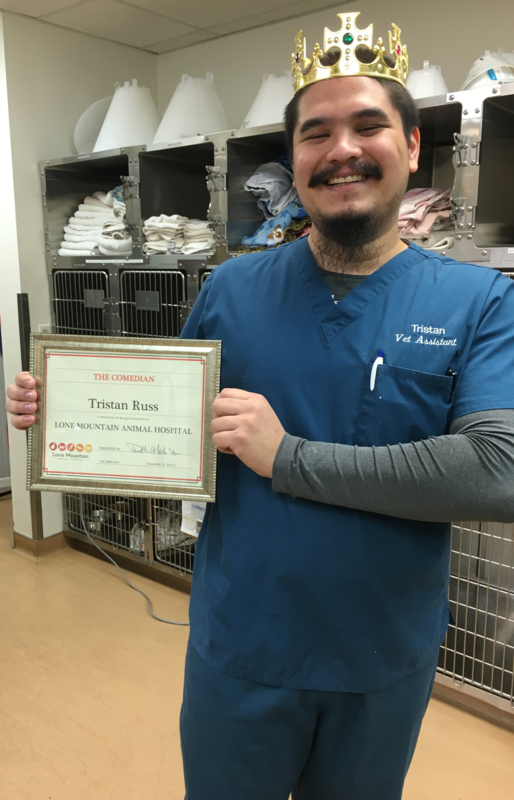 Tristan started at Lone Mountain Animal Hospital as a kennel attendant in 2008, he moved to treatment a few years later and has become an even more integral part of our care team. He has quite the sense of humor, which he won a certificate and crown for in 2015 as he was voted most humorous by the staff! If you had box for all your stuff, what would you put in it? Ain’t nobody got no time for that, donate it all to charity! Maddie left Missouri and headed west with her husband a few years ago and ended up at Lone Mountain Animal Hospital. She not only has her hubby at home, but she also has her Doberman Dexter and Diablo and Velma, her cats. Maddie loves spending time at home and throwing clay on a pottery wheel in her spare time. She is quite the traveler too, she went to Hawaii to meet her new niece and has been to Italy also! What would you do if you won 50 million dollars? Travel, share with family and donate. Jennifer has lived in Utah and Idaho, but now calls Las Vegas her home. 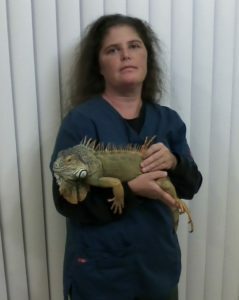 She shares that home with her husband, 2 dogs and her Iguana named Elliot. Jen joined our staff in 2013 and has a great love for taking care of the animals. Her favorite past time is hanging out her her hubby and little four legged family members. We asked Jen what a couple of her pet peeves are and she told us she really did not like bad drivers (she may find a few in Las Vegas) and people who interrupt. If you had 50 million dollars I would: Pay off my house/bills, pay off my moms house, buy a house in Utah and donate to an animal shelter. Michelle orginally hales from “The Bronx” New York”. She worked for lmah many years ago when she decided to take some time off to raise her babies. 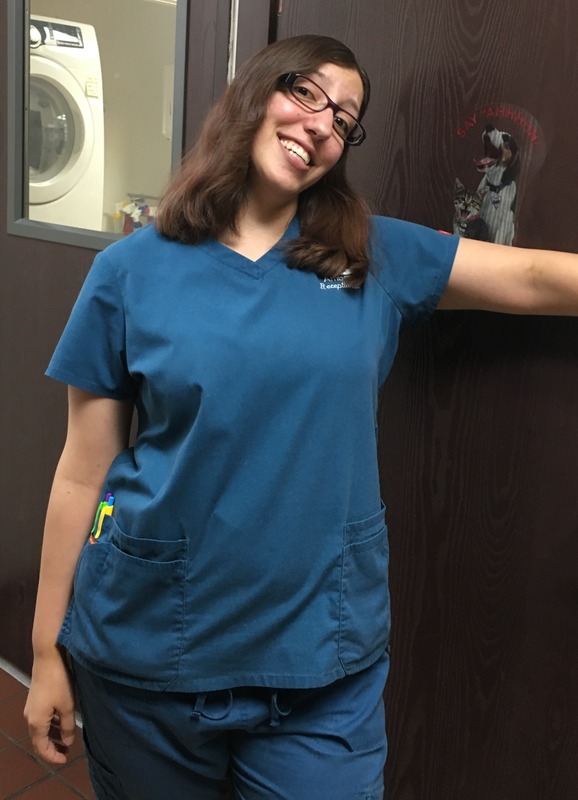 In 2014 Michelle came back into the LMAH family and we are so happy to have her in the reception area with her great smile to greet every client and pet that comes in the door. Michelle still loves her family time and that’s why her favorite thing to do when not at work – spend time with her kids and hubby. If you had just one box for all your possessions what would you put in it? Photos and items from her family. If you had 50 million dollars I would: Travel with my family, Pay off my debt, put money into savings. Caren is originally from California and shares her home with her 2 corgi’s, one tortoise, one hamster and one fish. 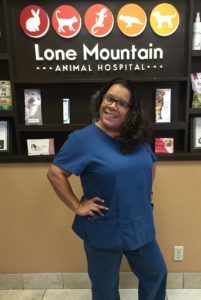 She attended CSN (College of Southern Nevada) – veterinary technician program where she graduated with honors, just as she did in high school. 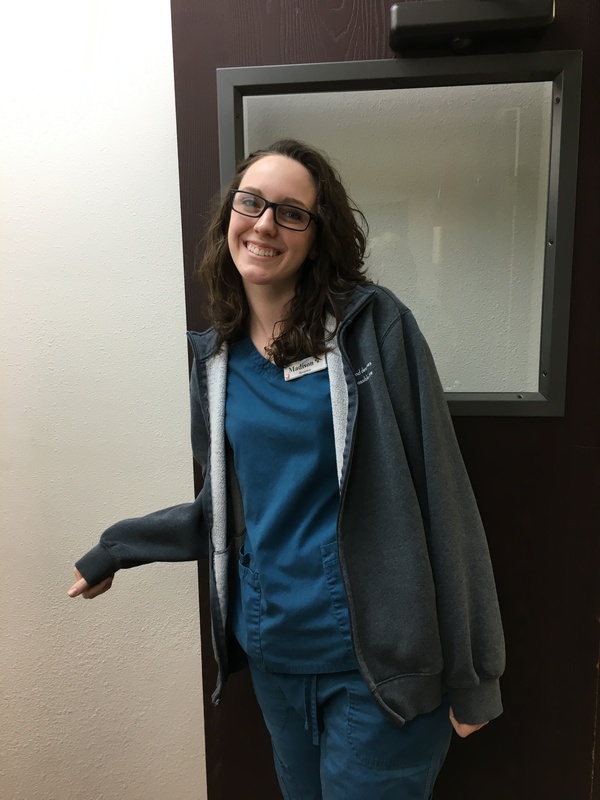 Caren was originally hired at our sister hospital Craig Road Animal Hospital, but when we needed help she volunteered to join our staff. Caren loves hanging out with her family and enjoys drawing, puzzles, movies and roller coasters. Caren really does not like people who text and drive, so make sure you follow the road rules around her, although she no longer drivers her first car which was a 95 Pontiac Sunfire. If she finds out you are headed to Australia she may try to tag along, so watch your bags. If you had just one box for all your possessions what would you put in it? cell phone, laptop, photo albums, puzzles (she did say she likes to do puzzles) and favorite horse models. If you had 50 million dollars I would: Travel the world, buy a house, horses and exotic animals. Are we loving our pet into obesity? of Las Vegas, talks about a personal experience with pet obesity. Sometimes we showed our love by giving him extra treats. A little chicken here, some chips there. His favorite snack were the little crunchy cheeseballs, which we made sure to share plenty of those. Eventually Prince wouldn’t even bother to wait for a snack from our hands, he was a magician at making food disappear from counter tops and tables. One day Prince was having diarrhea. He had gotten into a bag of Hershey’s kisses and we took him to see the veterinarian right away. At the age of five, we were told Prince was overweight and needed to lose a minimum of 10 pounds. Our family led a pretty active lifestyle and we took Prince out for regular exercise, so we didn’t quite understand how he became overweight. You see, Prince didn’t look obese. But we changed his exercise habits and took him out for more runs. But we never changed his diet, and continued to feed him table food. After a few more years of this habit, Prince weighed in at 110 pounds. A few years later, Prince had been diagnosed with cancer. We placed him on palliative care and we were able to have him in our lives for a few more months. But we then had to make one of the most difficult decisions for any pet owner. The day we put him down was the worst day of our lives. He was only 11 years-old. I can’t say that Prince’s cancer was a direct result from his obesity, but I do know that it didn’t help his condition. 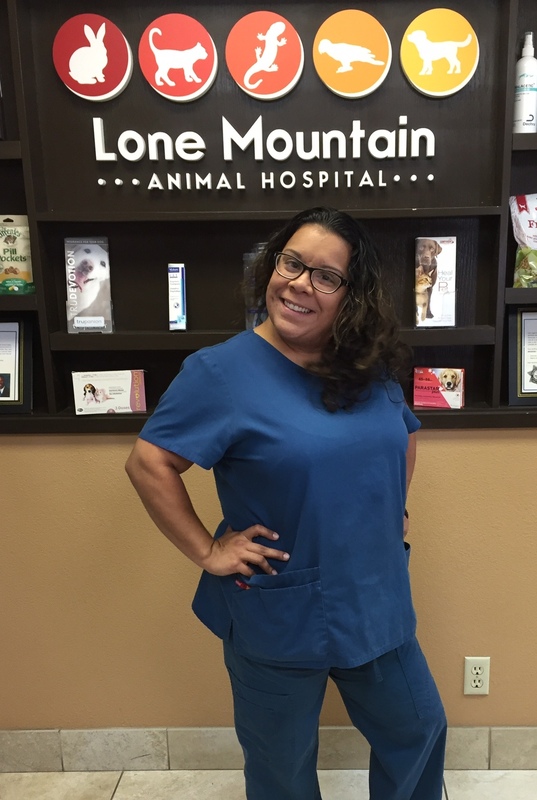 When I started working for Lone Mountain Animal Hospital, I was given the opportunity to become an advocate for Hill’s pet nutrition. I became certified in 2015 and I cannot express how much I wish I knew what I know now. 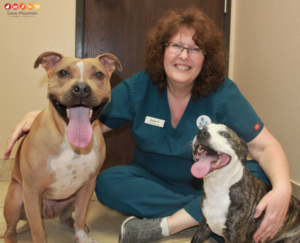 The program enhanced my ability to understand, communicate, and advocate proper pet nutrition. Obesity effects over 50 percent of the American dog population. Obesity can lead to many different health issues such as arthritis, diabetes, bladder cancer, and heart disease. 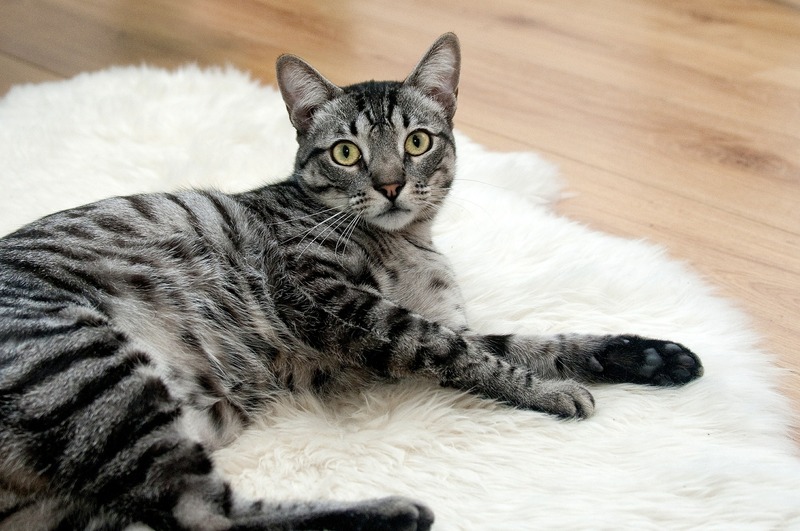 A healthy pet will have a tucked abdomen, and you would be able to see his waist when viewed from above. The ribs should also be easily felt. Your pet may be overweight if he has a sagging stomach, a broad flat back, and you can’t view the waist from above. Proper nutrition is essential to optimal health and enhances their quality of life. Depending on the age of your pet, we recommend bringing him in for a wellness exam once a year. The exam will check his heart, lungs, weight, skin, eyes, and give you the opportunity to ask us questions. I always thought Prince looked fine, it wasn’t until we brought him in for an emergency and the doctor weighed him, that we found out he was overweight. Diets are also specialized for your pet. If you have a dog that is more relaxed and less active, they may not need a high calorie diet. This is why it is important to read the labels. Prince was being fed a high fat diet, which I was unaware of before I really started to take a look at the labels. If your dog has an active life style, skin allergies, or a senior, it is best to ask your veterinarian what is best for your pet. Snacks and treats are fine to give your pet, they can be one of the best tools used during training. It’s okay to give him a treat or two here and there but it is important to take that into consideration when it comes to feeding time. If he was given a few snacks throughout the day, change his normal four cups a day to three cups. These small changes can really help keep your pet at a nice, healthy weight. Keeping your pet healthy is a round the clock job. We all love our pets, and we show our affection in many different ways. For Prince, it was by giving him table snacks. Now I show my pets I love them by sharing a well-balanced diet.